Comfortable, controllable, and fun to use! 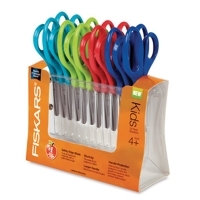 Fiskars Scissors for Kids feature stainless steel blades and colorful plastic handles. They work for both right- and left-handed users. Choose blunt or pointed. For artists 4 and up. 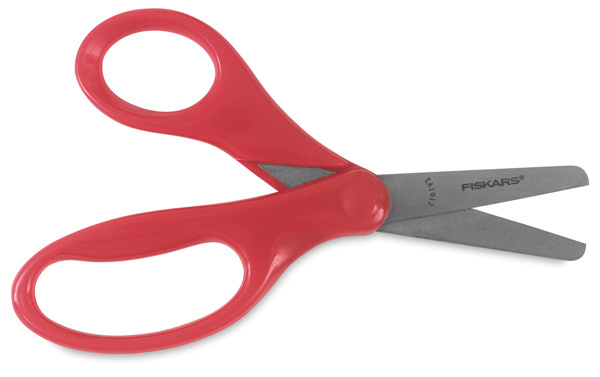 Backed by a manufacturer's lifetime warranty. 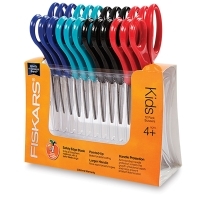 Class Packs — 12 piece set of assorted color handles in either blunt or pointed tip.